With testing and model knitting, there are projects that come up that you can't talk about, or post pictures. Sometimes this is just for a few weeks, for one project it was over two years. Two years of no ravelry project page, no instagram, no showing what I had knit to anyone. Some of those projects I may never be able to share. This post is to them. However, what is a post with out a picture? I can't show you any of those projects, but one long lost project was recently released in Defarge does Shakespeare. Testing for this pattern began in July 2012, you can imagine my feeling when it was finally released this year. 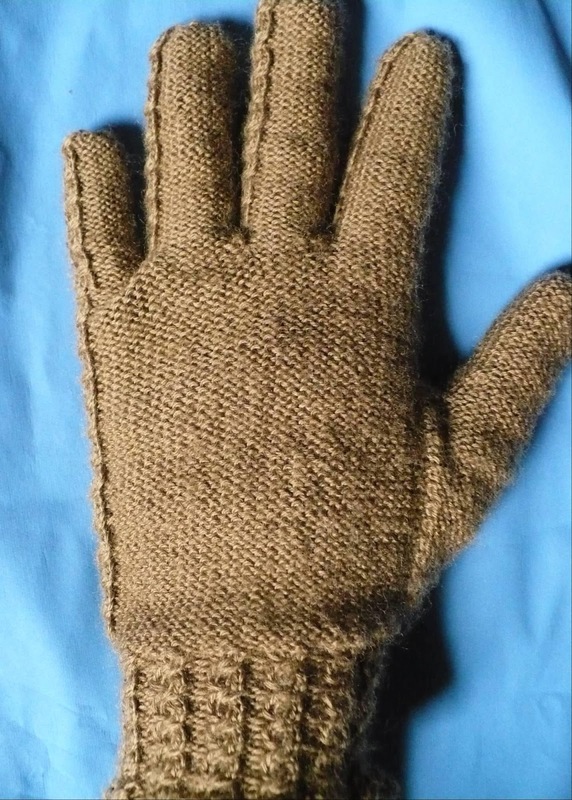 These are listed as Lavinia's Gloves on Ravelry. I have one project currently in testing that will not be a lost project, Sarah's Shawl. More details on the release post, but here is a photo of the prototype. The Crochet portion of this book reflects the difference between knit and crochet. It still has the extensive techniques section. This is helpful if you already know the basics, but need help with new techniques. Whatever your skill level, you will find something new and useful in this book, Reader's Digest The Ultimate Sourcebook of Knitting and Crochet Stitches. The techniques section covers the basic stitches, as well as more specific stitches used in this book. You will find illustrations that will help you with everything from gauge, working in rows, working in the round, changing color, popcorn, bobble and puffed stitch. One technique you may find interesting is the Tunisian crochet section. This explains the Tunisian simple stitch, but also the knit, purl, and double crochet stitches. Even how to increase or decrease in Tunisian crochet. Then it gives more information for filet crochet and Irish crochet. Now for the stitches. This book is divided into medium weight, heavy weight, openwork, crochet motifs, and edgings. The medium weight is further divided between simple stitch patterns and complex. Here you will find "some of the most useful crochet stitch patterns" as the introduction to this section explains. The heavy weight stitch section includes highly textured stitches, and Tunisian crochet stitches. The Tunisian crochet has more than just your basic stitches, but some nice textures and patterns. Openwork comes next. As we all know this is where crochet differs from knitting the most. This section reflects that rather than trying to make crochet look more like knitting, or only showing the solid fabrics you can make with crochet. This section has filet crochet, including letter forms for each letter in the alphabet. The dense lace section includes one of my favorite stitches, Diamond Shell Trellis Stitch. An unique blend of open and dense fabrics. A section on mesh type stitches completes this section. Use these for your next market bag, or as the filler for Irish crochet motifs later in the book. The Irish crochet motifs show off some of the three-D possibilities of crochet with different flowers and leaves. The assorted motifs section included the traditional granny square and variations, one is a triangle. These are great for summer knitting, you don't have to work with the whole big project on your lap. Last edgings, these will work for your crochet projects, of course. But try them out on fabric for a blanket, or edge your next knitting project. Reader's Digest, The Ultimate Sourcebook of Knitting and Crochet Stitches, Over 900 great stitches detailed for needlecrafters of every level. Use it to inspire you and make your next project your own. This post contains affiliate links. Please use them to help support my blog. Are you looking for cute patterns for a little one in your life? You need this book. It has a variety of sizes, and you will find patterns for boys and girls. With just a one page intro, this book goes right into the patterns. You will find headings like, Sweaters and Vests, Chill Chasers (hats, scarves, and outerwear), and Blankies. Everything you could want to crochet is included, even pants. The back has a brief basic crochet section, if you need help you might need another resource. A great addition is the Size Chart. It shows what sizes are included for each project (except the blankets) making it easy to find a project for your little special someone. She also gives a resources page with addresses and websites of yarn companies featured in the book. 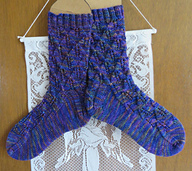 The pattern pages on Ravelry show that people like these patterns. 361 Projects have been linked to this book. No errors have been mentioned. I like the use of different colors in each project. They aren't your usual baby pastels, but include some bold choices. Some of the use of novelty yarns means you will have to keep your eye on the little one when they are wearing or using those items. Jackets out of a fun fur type yarn may be better for older kids. Before they get to old to protest to wearing it. Though I do love the use of Berroco Plush to line the edge of boots and aviator style hat. Adorable! Make the jacket for a complete set. The fur trimmed jacket called Raspberry Rhapsody is one your girly girl will love. The dinosaur, bear, bunny, and duck booties are so cute. Available in 2 sizes 6-12 months and 12 to 18 months, they just might fit the older sibling to be. The East meets West Asian inspired dress will work up quickly, you crochet the bodice, then attach a fabric skirt. Have more time? Crochet the matching jacket with fabric lined edges. Only three sizes are given, another bodice with attached skirt includes sizes up to 3 years. The blankets are so cute! To include a black and white cow motif, one of those also has squares that look like jeans pockets. Two are bear or pig squares. Another two blankets are argyle, one for girls, the other in colors for boys. Plaid, zig-zags stripes and sheep complete the blanket collection. What ever your or the parents style you will find a blanket that will be loved. What books have you crocheted from lately?